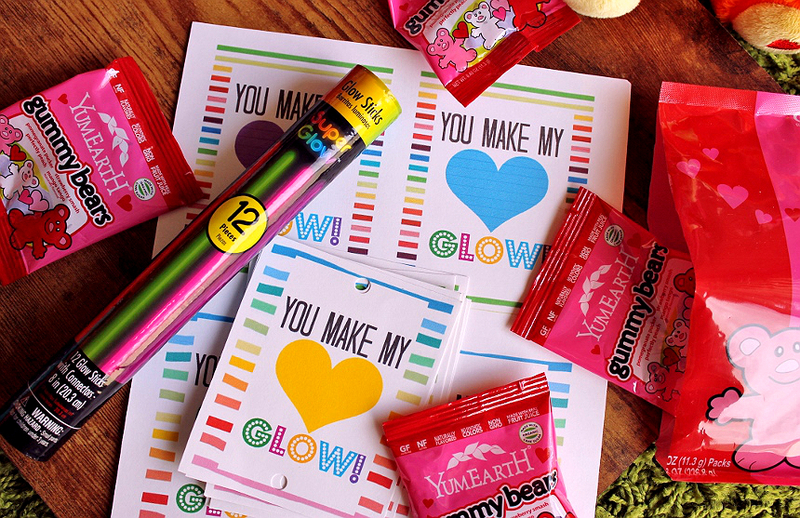 YumEarth provided some allergy free treats in adorable Valentine's Day packaging to help inspire this post, no further compensation was provided. All thoughts and photos contained below are copyright Momma Told Me Blog 2016. Momma Told Me: Share the love. With the exception of dairy, our immediate family is fortunate enough not to have any allergies or food sensitivities, which allows us to indulge in holidays with little refrain. However, when it comes to the topic of children, holidays become much more than an extra treat here and there, but a social event which is often celebrated among many peers at parties and school functions. Do you know that an estimated 8% of K-12 children have some form of major food allergy or sensitivity? 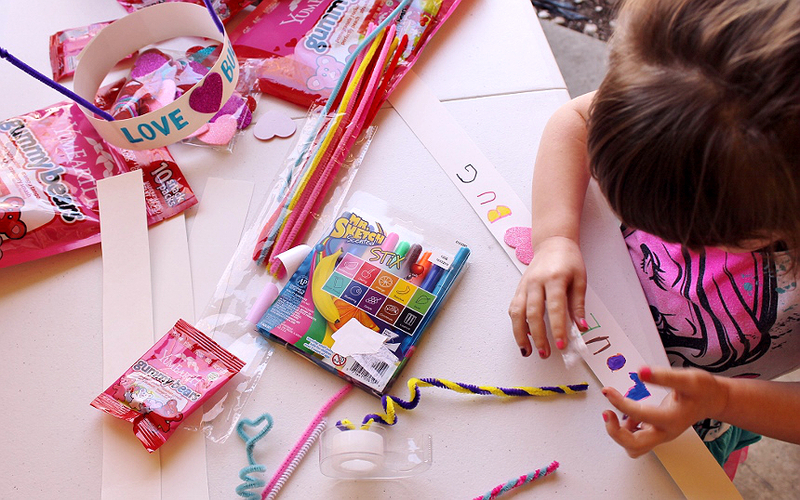 Holidays are about sharing the love, not singling people out- so we've put together a few amazing, and simple, ways for kids to share the Valentine's Day spirit in a more including manor. 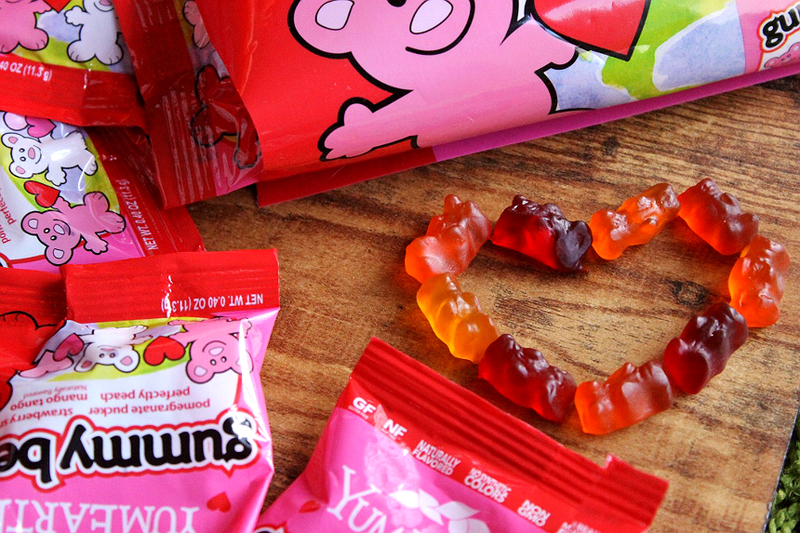 First up is YumEarth Organics gummy bears in special seasonally packages Valentine's Day serving pouches. These .40oz (approximately 6 bears per serving) Gummy Bear pouches are individually packaged and ready to pass out. You may recognize YumEarth from their previous features here on Momma Told Me for their Naturally Flavored, NON GMO, Synthetic Free, Real Fruit Juice candies and snacks that really put the 'sweet' back in 'sweets.' These delicious bears are not only made with real fruit juice, but real cane sugar as well, and come in a variety of delicious flavors like Mango Tango, Perfectly Peach, and Strawberry Smash. Best of all these are Nut and Gluten Free, making them a great sweet option and alternative to mainstream candy when sharing with classmates. Many of the children at the daycare are on strict diets for gluten sensitivities or behavioral issues. While I love them like my children, they aren't my children, so I am always extra picky with what I'll share for snack time and holiday treats. YumEarth Gummy Bears and Sour Beans pass the parent test of approval in front of a very tough crowd, and the kids NEVER know the difference between YumEarth and 'mainstream candy.' 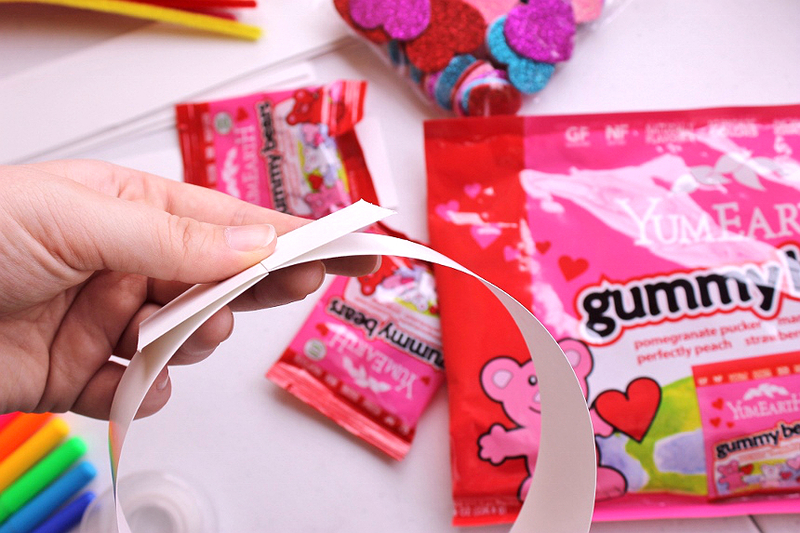 Of course, depending on your own child's dietary restrictions, or perhaps your own parenting rules, you may wish to discourage sugar all-together as a group element., so we've come up with a simple sugar-free Valentine's idea and a fun craft everyone will love celebrating with. 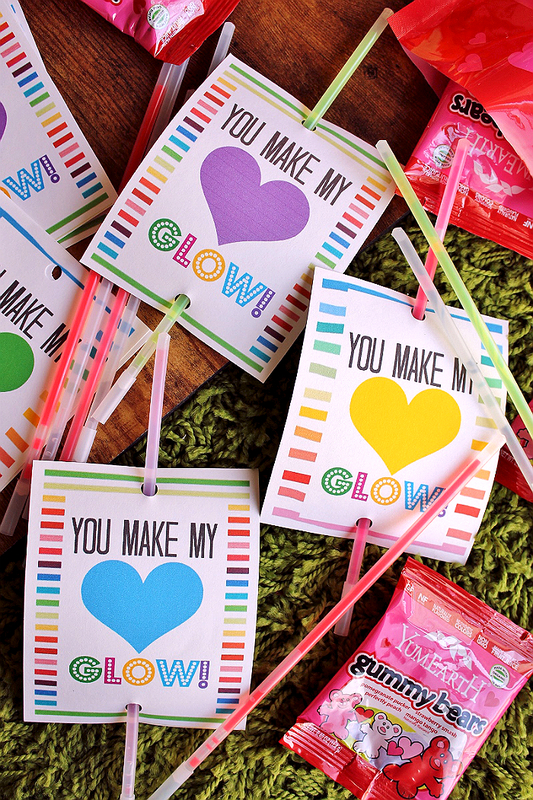 There are few things as exciting to the kids as a glow stick, and glow stick are entirely cheap and affordable. You can pick up a container of 50 mixed glow sticks for about $7 at the local party store, more than enough for an entire class. 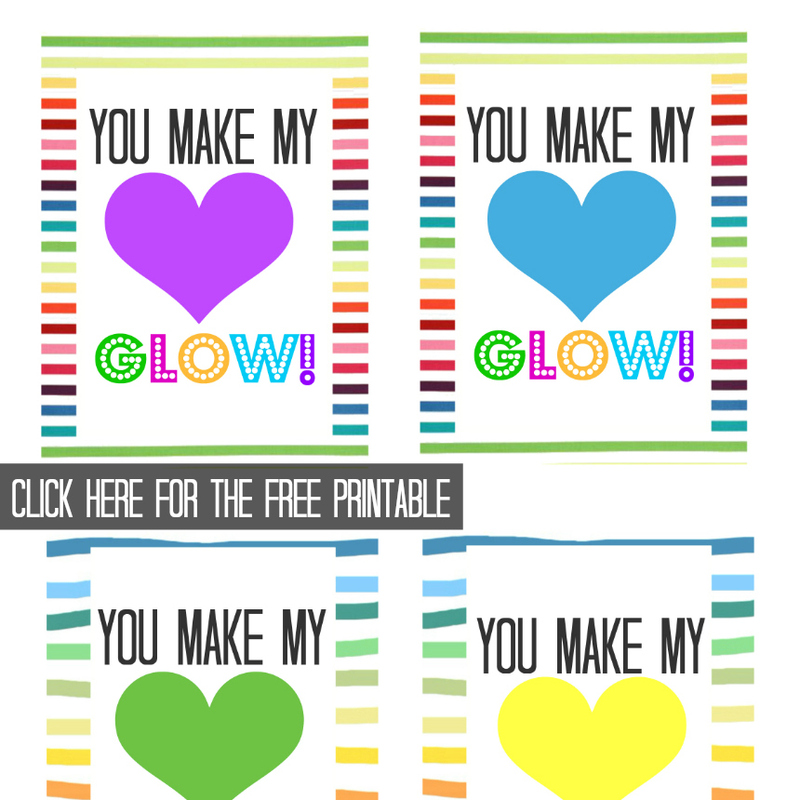 So grab the FREE "You Make My Heart Glow" Valentine Printable at the bottom of this post, use a hole punch to put a hole in the bottom and top and you've got instant Valentines sure to be a kit at any party or school event. If you want to get really fancy you can even print them on card-stock for a keepsake that's sure to last. 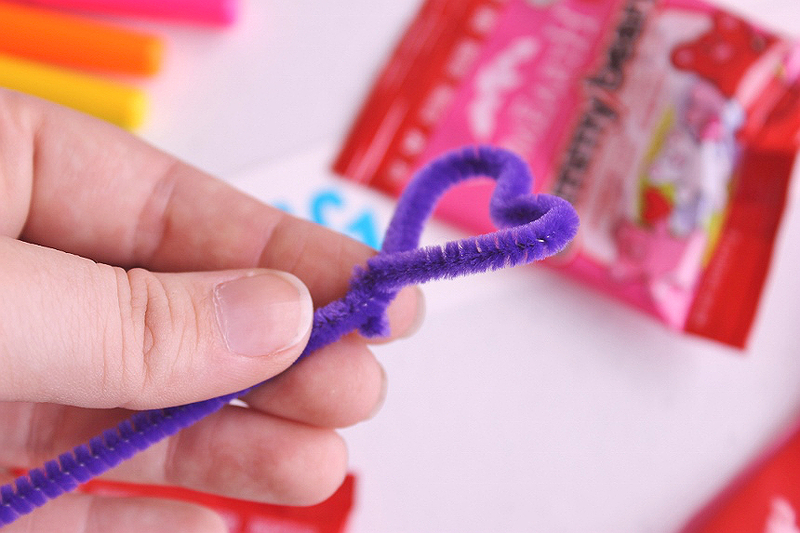 Just don't bend those glow sticks while putting them together! Of course, growing up, one of my favorite things about any holiday was the special craft projects I'd make at school and take home to show off to my parents. A simply art or craft project can help open a great dialogue for discussion of the holiday's origin, which relationships we're thankful for, and how we can show our love every day of the year. Some of the youngest kids in our group began the afternoon repeating how Valentine's Day was 'just for married people and moms and dads,' but we soon explored how love for a new baby brother, special grandmother, and even a best friend can be worth celebrating too. 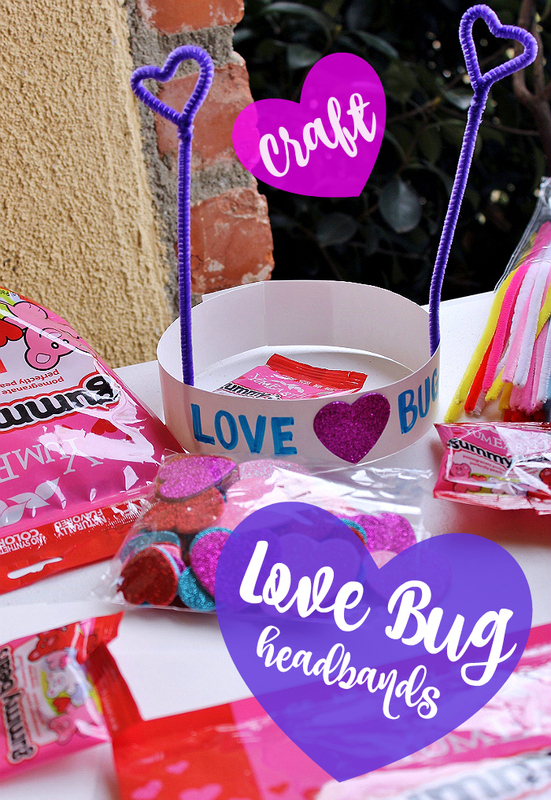 With a few poster boards from the dollar store, a pack of colored pipe cleaners, a pair of scissors, a roll of tape, and some markers you can easily make these Love Bug Headbands. I began by cutting our poster-board in 2" strips length-wise. 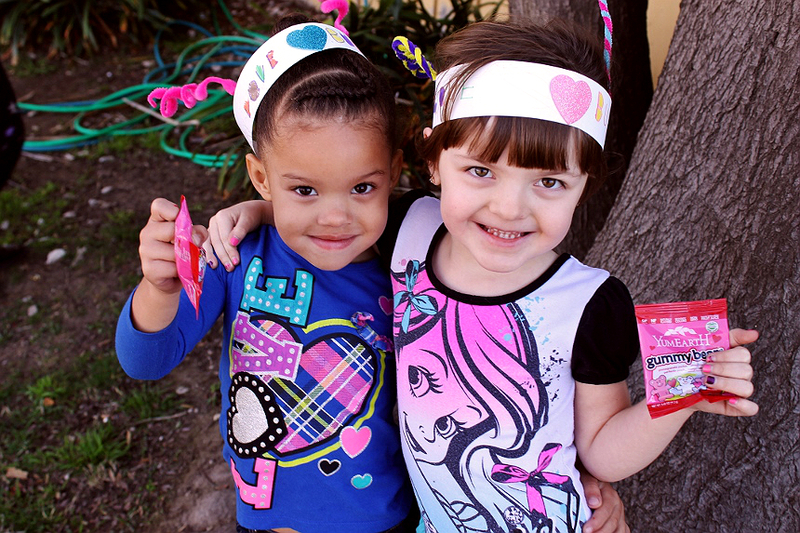 Next each child picked out a heart sticker and wrote 'Love Bug' as close to the center of the strip of paper as their dexterity skills allowed. Then they twisted and bent their 'antennae' and taped them on the inside of the paper at either side of their lettering. Next an adult wrapped the headband around their head to measure for fit and cut two interlocking notches to help size. Of course you could just staple or tape the back of the headband if desired, too. 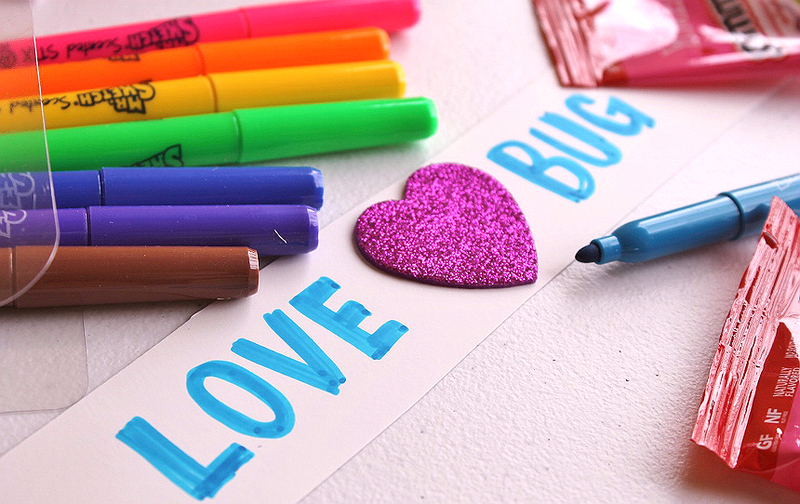 Each and every child enjoyed making their Love Bug headbands, and not a single one was alike. Some boys drew their favorite sports team symbols on the sides while another child drew a portrait of his family, and even the 4 year old scribbled her lettering on the front with complete pride. Smelly markers always help make craft time more fun, of course- but we managed without any painted noses this time. 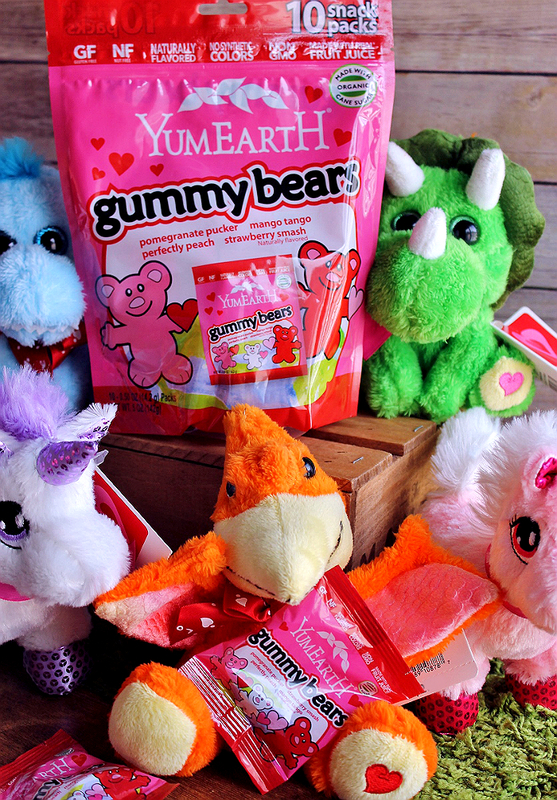 And, when we were all done, we sat down to enjoy a nice all natural nut and gluten free YumEarth treat- our favorite YumEarth Organics Gummy Bears in Valentine's packaging. Grab your YumEarth Organics treats in time for Valentine's Day online at Amazon.com or locally at a Walgreens, Whole Foods, Albertsons or more near you. See the complete store list here. 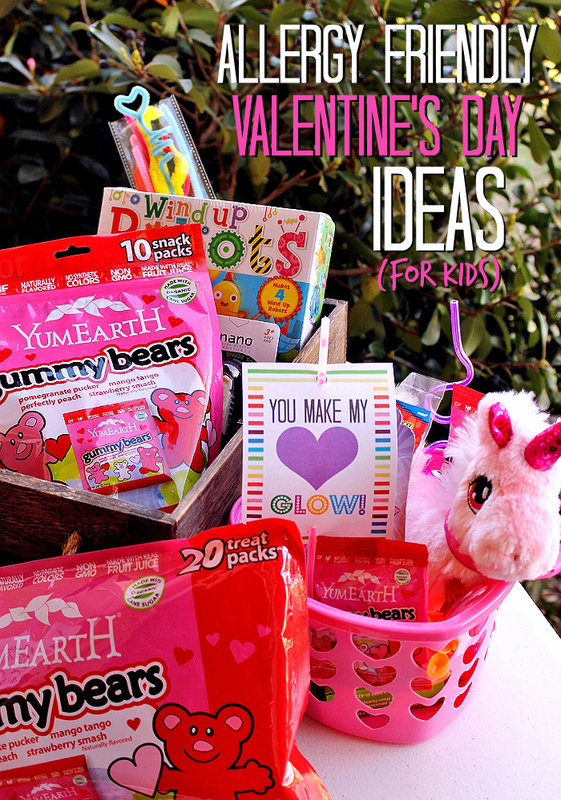 What Daughter Says: Be sure to include everyone this Valentine's Day with some allergy friendly Valentine's Day ideas and treats! That is the cutest thing ever. We love the YumEarth candies here because they only have ingredients we trust.